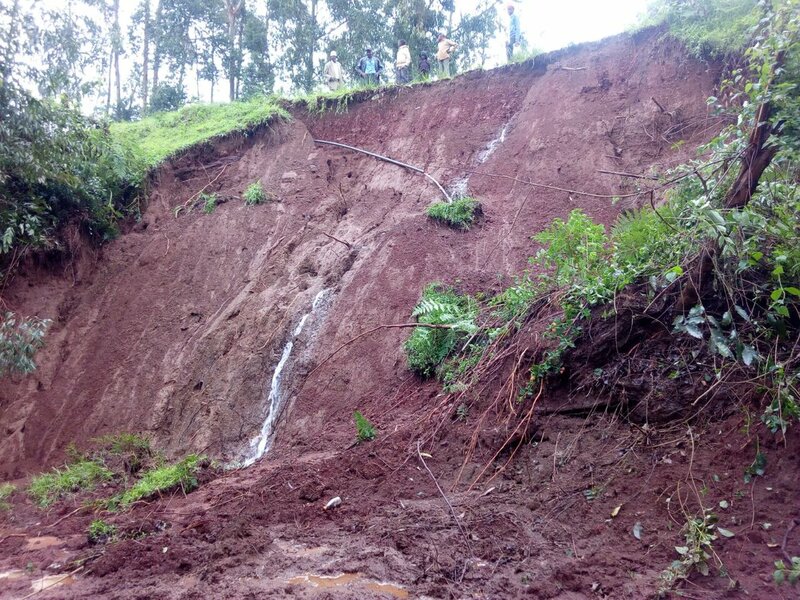 Home NEWS Weatherman warns of landslides in Murang’a, says long rains likely to cause food insecurity. Weatherman warns of landslides in Murang’a, says long rains likely to cause food insecurity. The Kenya's Meteorological Department warns of imminent landslides in Murang'a and flash floods in Budalangi and Kano plains, says the long rain season is likely to affect agriculture, hence causing food insecurity. According to the weatherman, the Climate Outlook for the March-April-May (MAM) 2019 “Long Rains” season indicate that most of the country are likely to experience slightly above average rainfall except for parts of Eastern Kenya and the Coastal regions. The seasonal rainfall onset is also expected to be timely over several parts of the country. “Cases of flooding in flood-prone areas such as Budalang’i and Kano areas and also landslides/mudslides in areas such as Murang’a are still probable. The NDOC is, therefore, advised to be on standby in order to ensure mitigation of any negative impacts that may arise,” says the weatherman in their weekly updates. The added that flash floods are still likely to occur in Western Kenya, Central Rift Valley and Central Highlands. However, the expected prolonged dry spells are likely to result into reduced water levels in the Seven Forks, Turkwel and Sondu Miriu catchment areas. In April 2019, near-normal to above-normal rainfall is expected over most parts of the country and more so in Western, Central Rift Valley, Northern Kenya (Marsabit, Moyale) and the Central highlands including Nairobi. Depressed rainfall is, however, likely to occur over North Western Kenya. In May 2019, most parts of the country are likely to experience depressed rainfall except the western, central Rift Valley and Central Kenya regions which are likely to experience slightly enhanced rainfall. “The expected late onset and poor distribution of the MAM 2019 seasonal rainfall are likely to impact negatively on the agricultural sector leading to food insecurity,” says the statement.